Famous around the world particularly for its therapeutic and relaxing holidays, Biarritz is a beautiful city to visit. The thalassotherapy is one of the most renowned and effective spa treatments in Biarritz. There are a lot of shopping and entertaining opportunities along with great accommodations in Biarritz. Biarritz began gaining a reputation all over the world as a great location to relax and rejuvenate in the 18th century. Even doctors began to recommend the area because of its fine coastal location and the calming sea air. The therapeutic effect on nature in Biarritz cannot easily be described. Even today a lot of doctors recommend Biarritz as a great location to get away from illness or stress. Some people even say that the sea has qualities that help cure patients – if you suffer from stress, then it is worth a try! 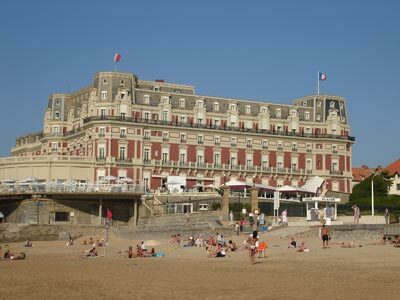 Due to this increasing fame for being naturally therapeutic, Biarritz began receiving a lot of visitors and tourists. During the 18th and 19th century a lot of renowned people visited Biarritz including the British and European Royal Families. The most famous tradition of Biarritz is the Thalassotherapy and one can see a lot of thalassotherapy centres in Biarritz. The real thalassotherapy spas use fresh seawater, which is why only spas within half mile of the sea offer real thalassotherapy. Why not make use of car hire solutions to visit one or two of these therapy centres? Most famous for its thalassotherapy in Biarritz is the Hotel Mimar, which has a seawater swimming pool, a hammam and a sauna. The Pavilion Royale Campsite is very famous in Biarritz for its facilities like the heated swimming pool, sunbathing, shops and restaurants and Internet access. The most important and impressive thing about the Pavilion Royale Campsite is the unique access points on the fantastic surfing beach of Il Biarritz. Take the family there using car rental services and enjoy a great day out. Just close to the Pavilion Royale Campsite is a very famous 18-hole golf course. There is a small snack bar at the golf course. It is the perfect afternoon entertainment that one would want in Biarritz and is popular with both enthusiasts and beginners. Almost 15 minutes away from the Pavilion Royale Campsite is St Jean de Luz that offers a lot of great shopping opportunities. Here buyers can find almost all the renowned brands along with some local shops offering local handicrafts and souvenirs. Car rental is a must for serious shoppers and there are plenty of other places in the town where a bargain can be found. Biarritz Airport is a popular rent a car destination, there are many car rental companies in Biarritz Airport with a wide range of different car categories. Many of our clients have rented a car in Biarritz Airport and had good experiences. Do not wait with booking your car for Biarritz Airport before you know prices will go up and the availability will get low. When traveling with family and children, we recommend you select a car with enough space for luggage and enough space to fit child seats. Children must travel save in a child seat/booster depending on their weight or how tall they are. Rentalcargroup.com offers a wide range of variety of station wagons, mini vans in Biarritz Airport. Rentalcargroup.com offers car rental in more than 35000 locations, at all major airports and cities and railway stations. Below on this page you see a map with all the car rental companies we work with in Biarritz Airport. Last month, the average car rental length at Biarritz Airport was 6 days. The average rental car length at Biarritz Airport is 10 days. The most booked rental car type currently at Biarritz Airport is MINI cars. Last year, the most booked rental car type at Biarritz Airport were ECONOMY cars. How much does it cost to rent a car at Biarritz Airport? Last month, the average car rental price was 256 USD. Last year, how much did it cost to rent a car at Biarritz Airport? Last year, the average car rental price was 354 USD. What is the current average daily price to rent a at Biarritz Airport? Last month, the average rental price was 42 USD per day. How much did it cost to rent a car at Biarritz Airport over the past 12 months? Last Year, the average rental price was 36 USD per day. The car rental companies available at Biarritz Airport are: Alamo, National, Enterprise, Firefly. See below last 5 customer reviews. Our customers rated Biarritz Car Rental with an average of 0.00 based on 0 ratings.